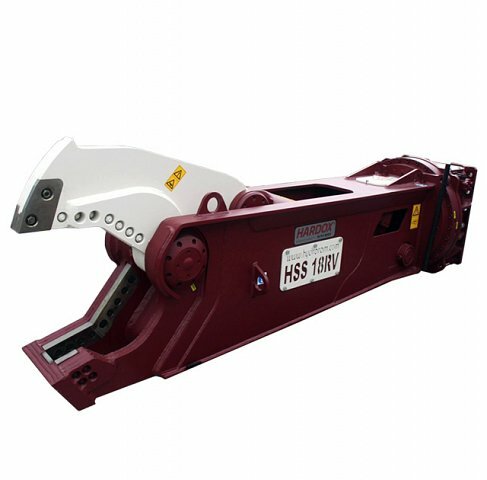 We offer a full range of high performance steel shears for scrap processing & dismantling applications. A heavy duty hydraulic rotation comes as standard throughout the range. 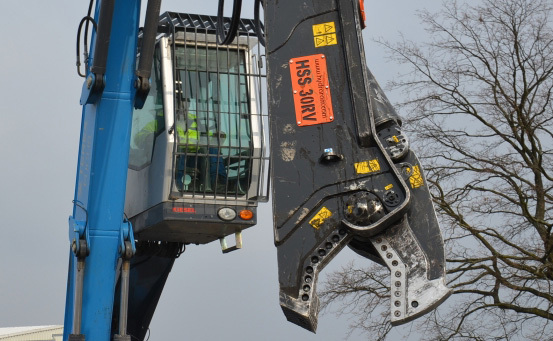 HSS shears can also be supplied without rotation if preferred and all models can be adapted to fit the excavators stick or boom as appropriate. The quality cutting blades on the shear are fully indexable and replaceable. Manufactured to exacting specifications for a long service life and positive shearing action, they will stand up to the toughest site duties. A wear blade is installed in the lower jaw which prevents excess jaw straining and can be replaced and maintained to ensure trouble-free cutting on light materials. 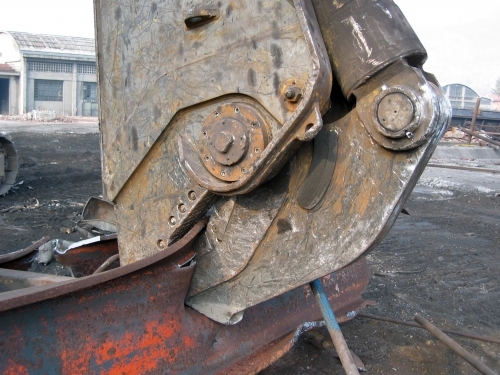 The main pivot pin is equipped with a simple adjuster system which permits adjustment of the top jaw to compensate for any wear which may occur during the shears operating life. All grease points are readily accessible and the powerful reverse mounted hydraulic cylinder is fully protected within the shear super-structure. A regenerative ‘speed’ valve ensures that cycle times are as short as possible. 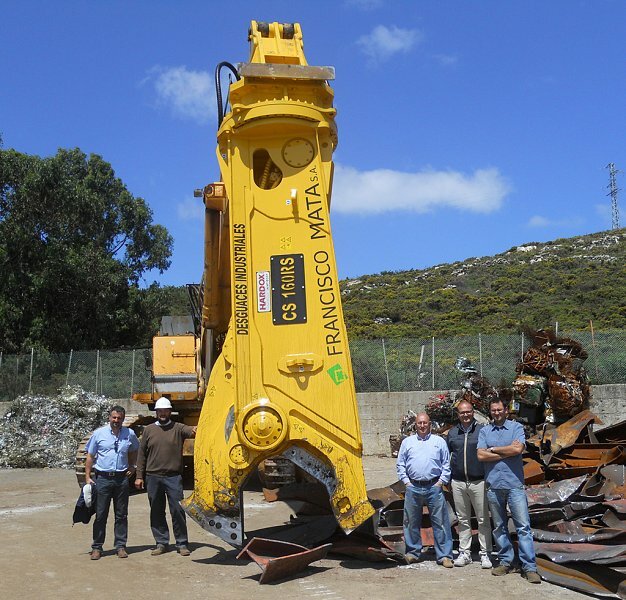 There are 12 models available from 450kg up to 20 tonnes, for excavators from 3 – 280 tonnes.